Must See! 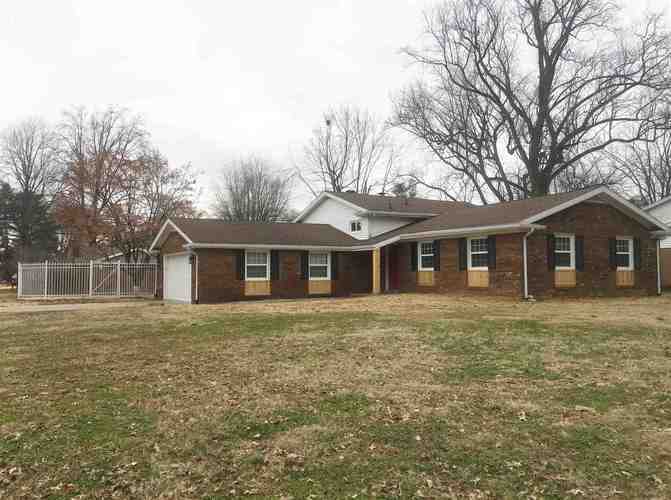 Totally remodeled, brick 4 Bedroom 2.5 Bath home on Evansville's East Side. With over 2100 sq ft, this open floor plan will provide you with what you have been searching for. NEW front entry door, NEW windows, NEW kitchen cabinets, NEW kitchen appliances, NEW vinyl plank flooring, NEW carpet, NEW ceramic tile, NEW ceiling fans & fixtures. All bathrooms have been updated. NEW High energy efficient gas furnace/AC. 2.5 attached car garage with NEW overhead door & opener. Beautiful decorative fencing in the large back yard. Immediate possession at closing is available on this beautifully remodeled brick home.